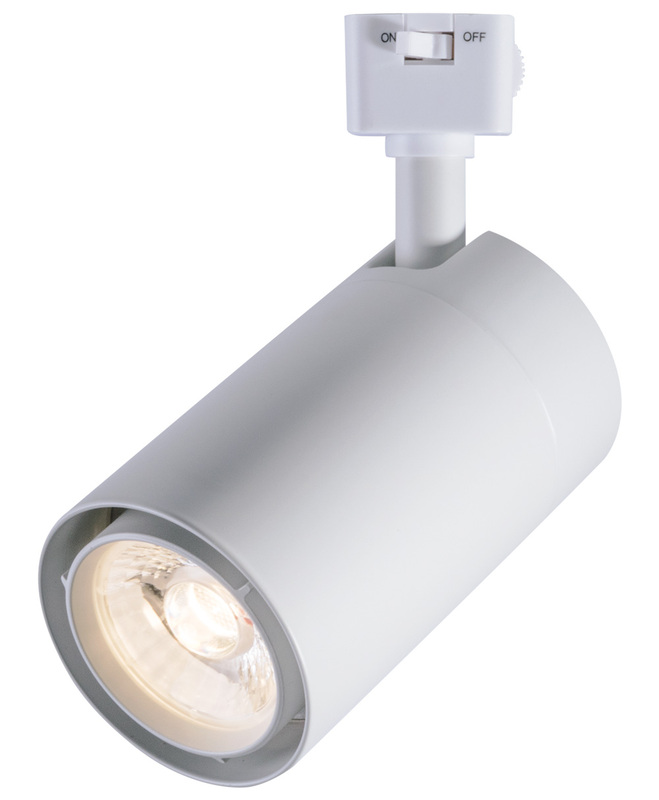 High powered LED fixture for Track, Ceiling, Recessed and Pendant mounting. 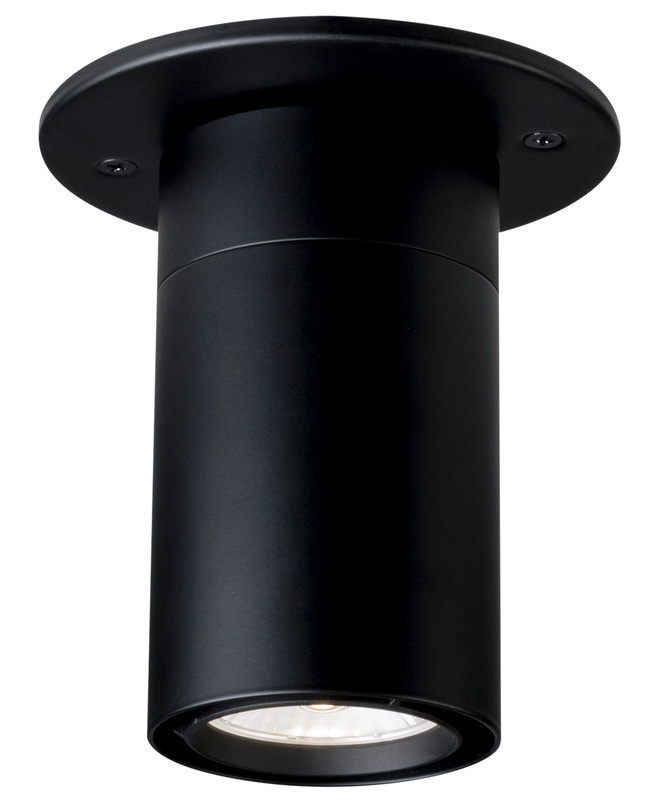 Constructed of aluminum, the body features an aesthetically pleasing smooth cylindrical shape. 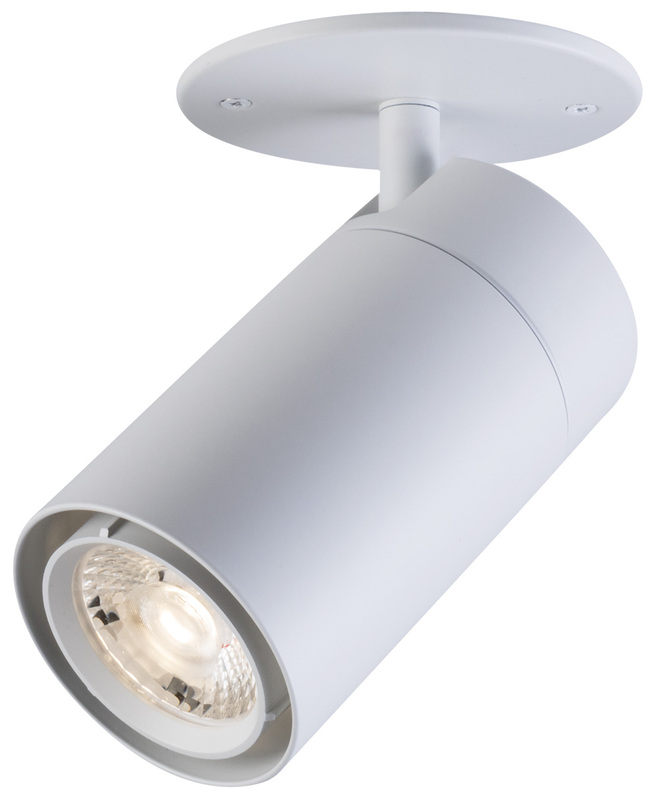 High powered 15W CREE CXA1512 LED array maintains uniform intensity with a typical luminous flux up to 1120 lumens, with a typical CRI of 90+. 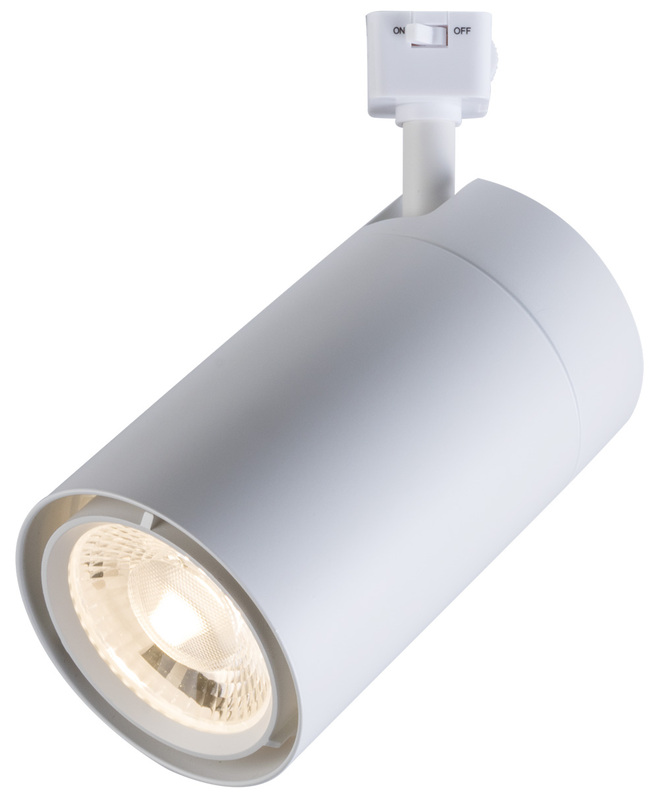 High powered 22W Luminus CXM-11 LED array maintains uniform intensity with a typical luminous flux up to 2000 lumens, with a typical CRI of 90+. High powered 22W Luminus CXM-18 LED array maintains uniform intensity with a typical luminous flux up to 3800 lumens, with a typical CRI of 90+. 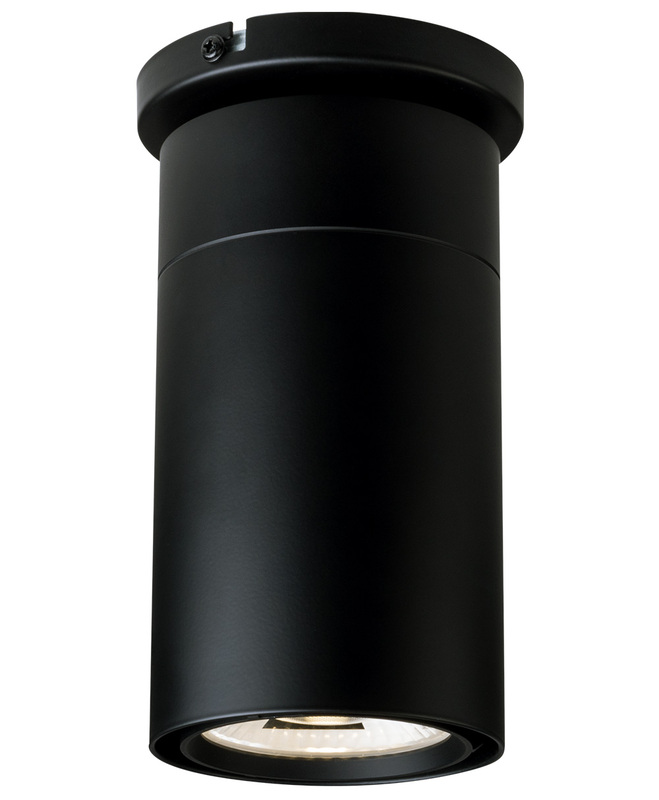 100%-10% dimming capability. 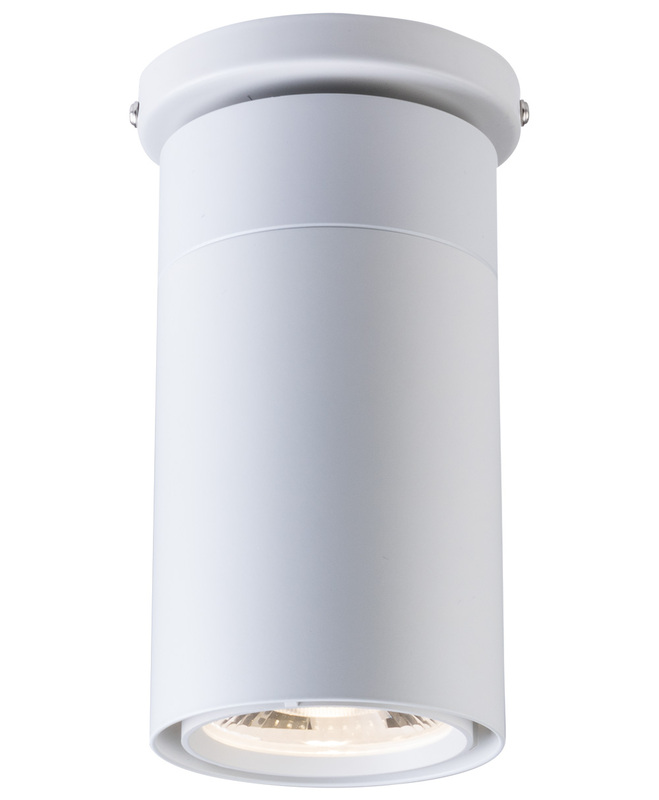 This fixture is compatible with industry standard forward-phase / reverse-phase dimmers (contact factory for list of compatible dimmers). 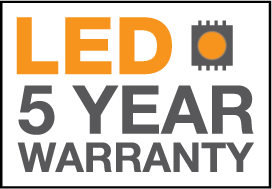 Dim-to-warm technology - similar to halogen at full power, the 3000K LED warms smoothly as dimmed to 2000K creating a rich warm glow within the space, when used with industry standard forward-phase / reverse-phase dimming controls. 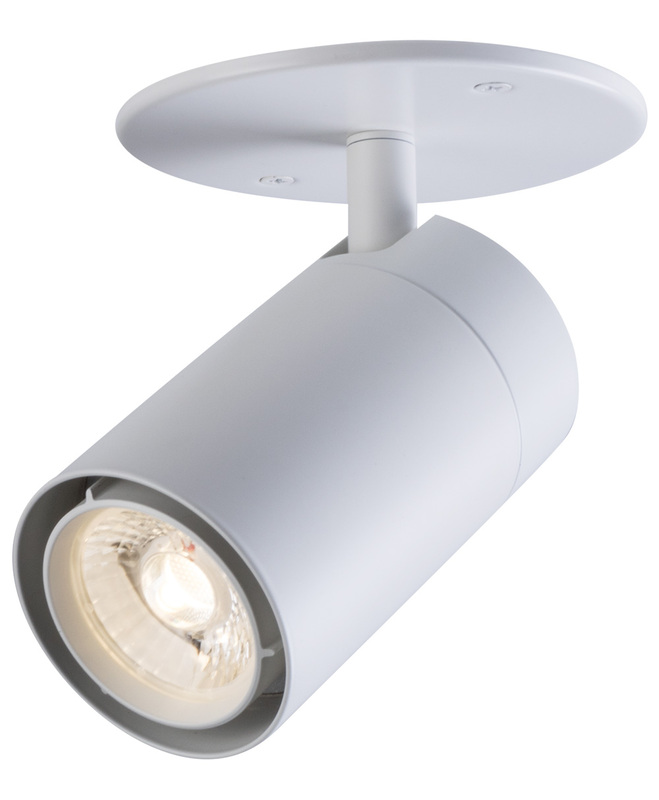 Fixture lens options available in 15°, 25°, 40° and 60° beam spread. 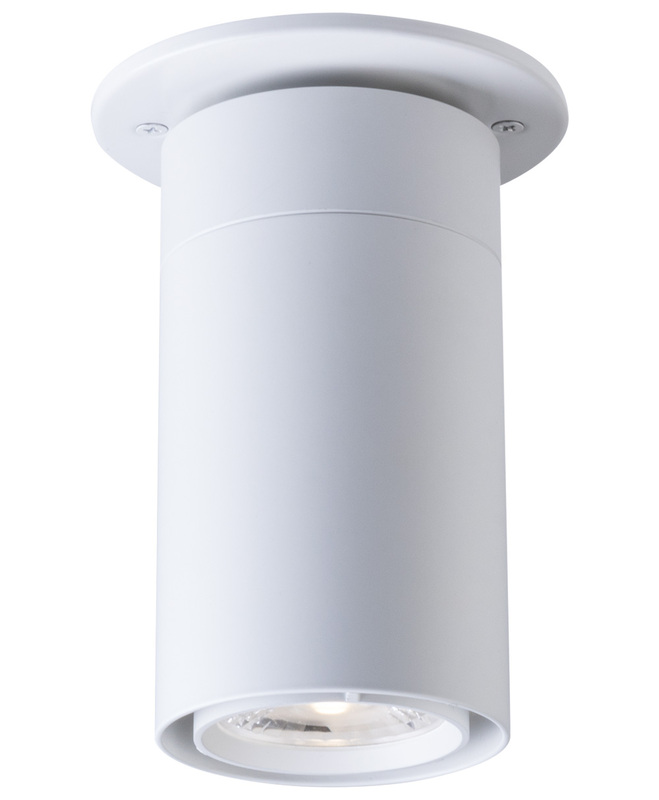 Fixture is mounted on ceiling with 4" octagonal junction box. 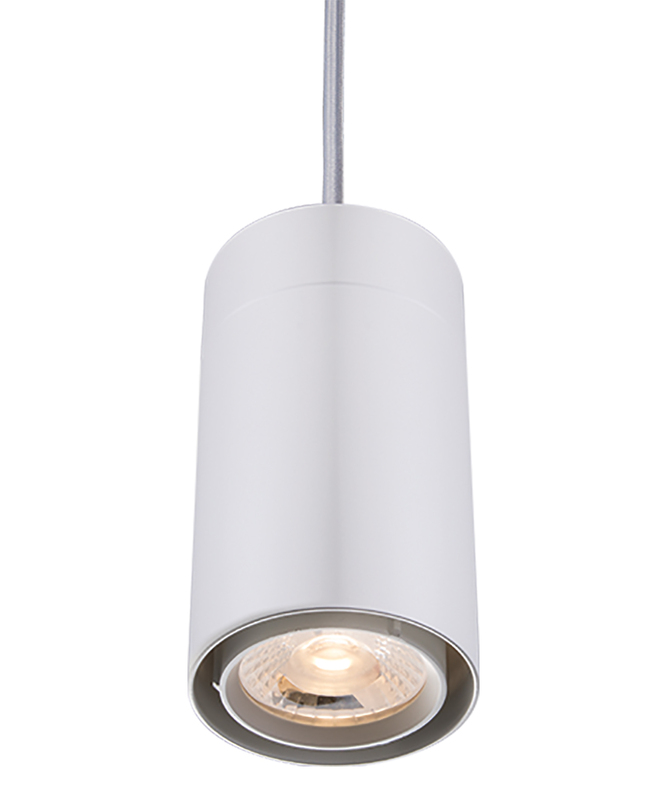 Fixture comes with ceiling plate for easy installation and providing architectural feel. 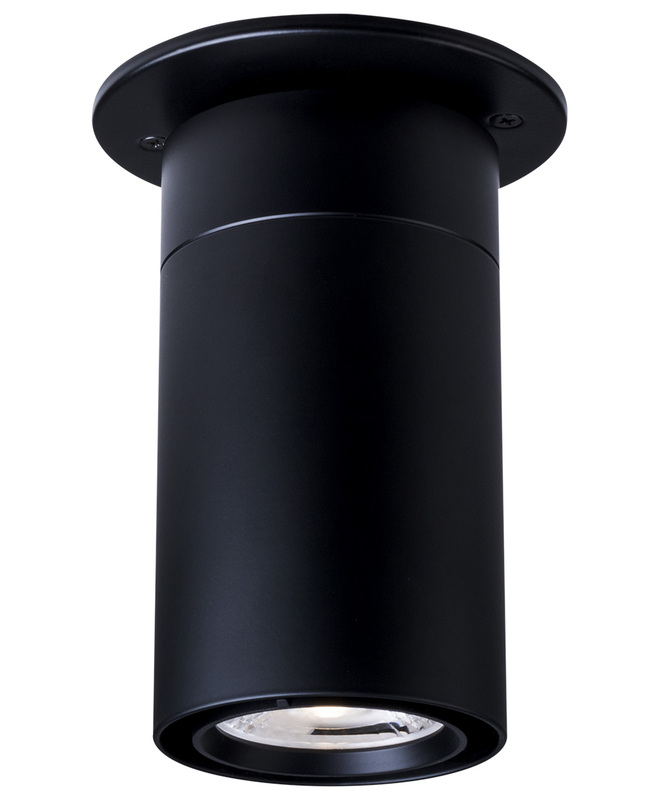 Ultra shallow monopoint mounts fi xture to 3½ " or 4" octagon outlet box. 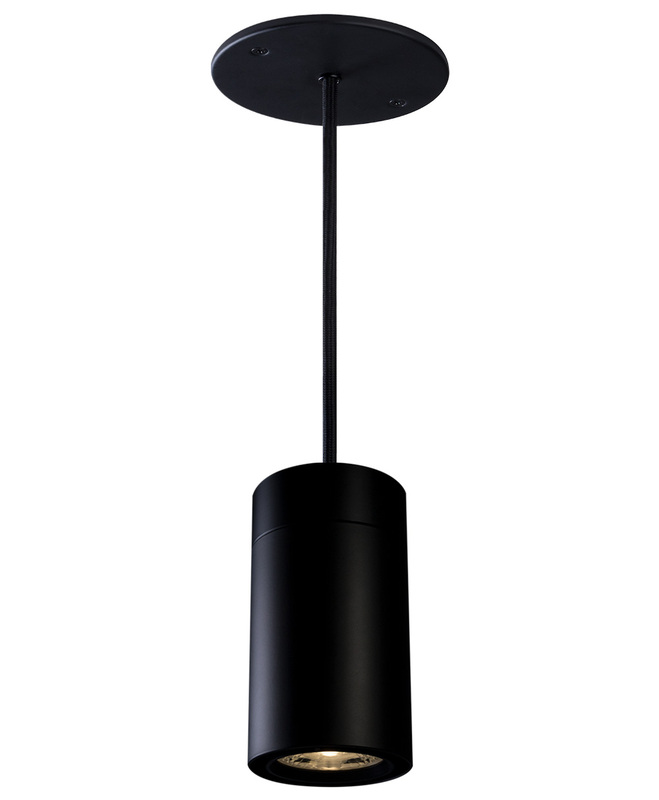 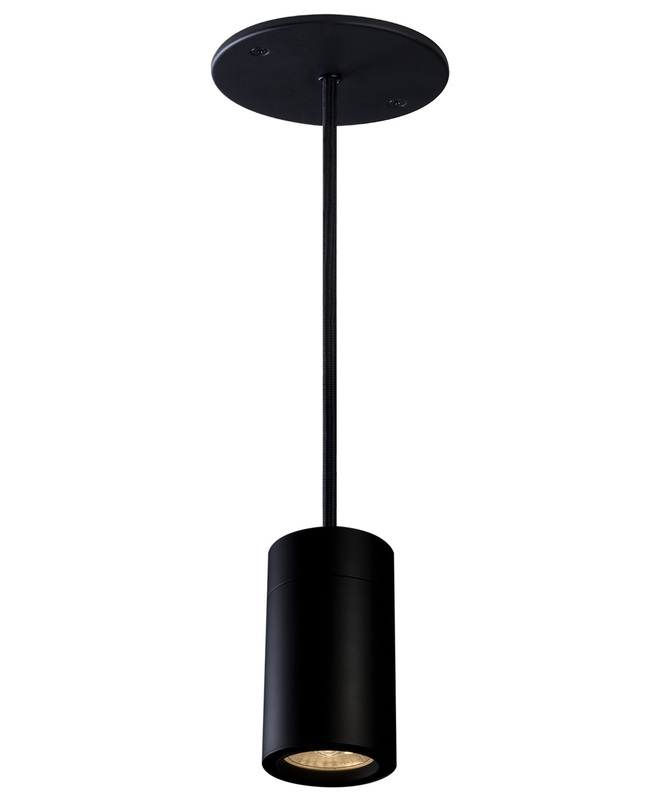 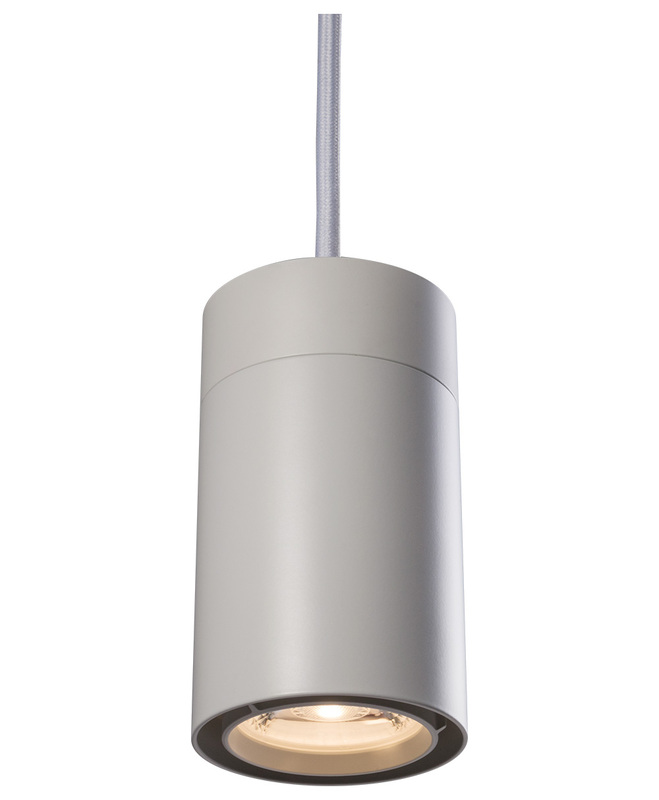 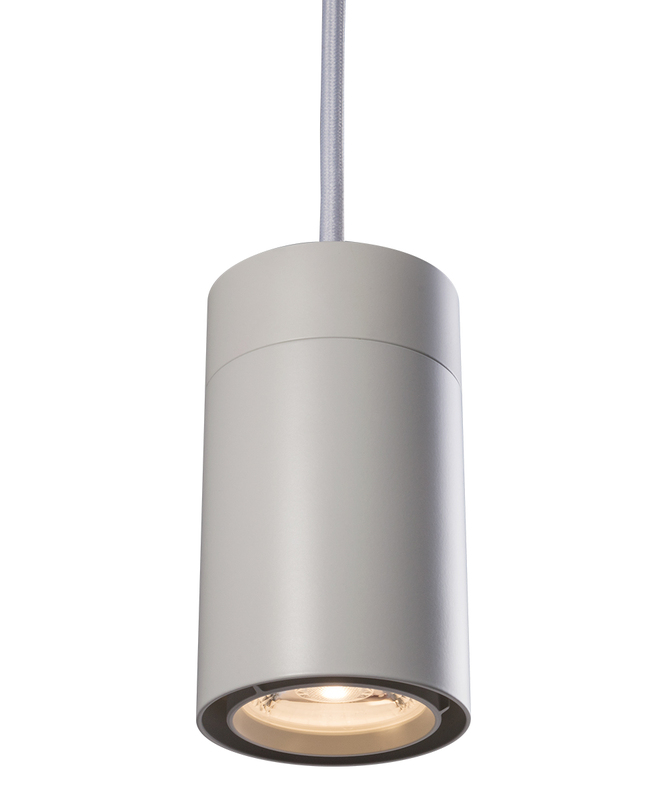 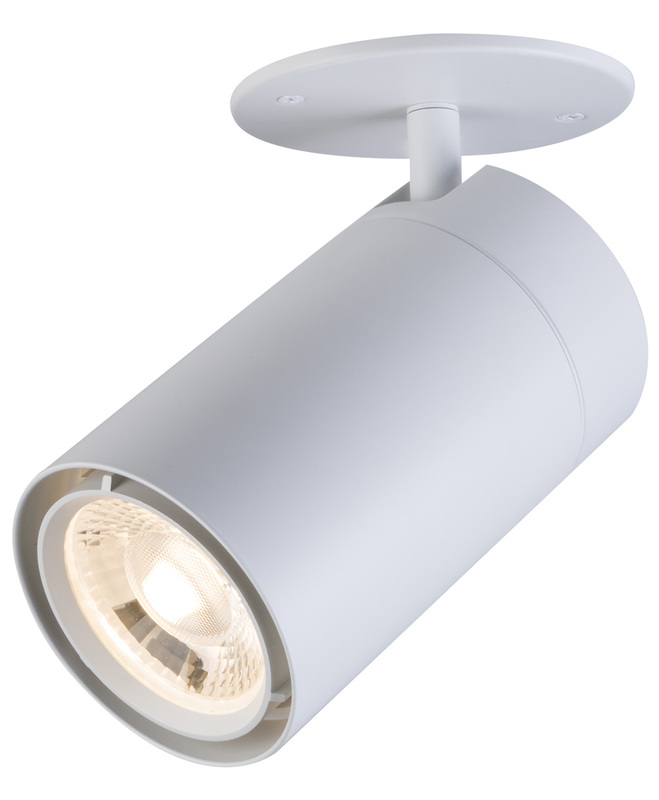 Arm allows the lamp housing to tilt to +/- 90° horizontally. 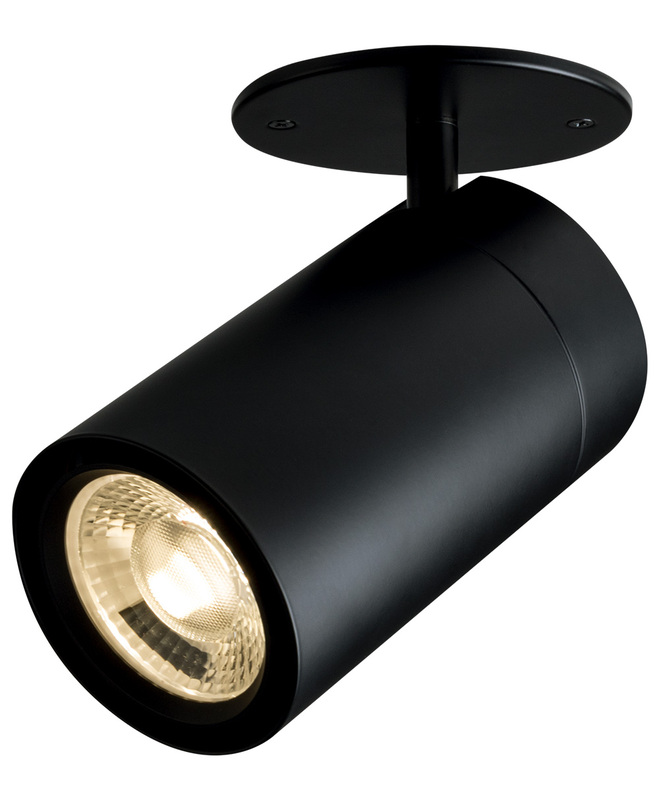 This enables the ballast housing to remain integral part of the fixture, creating a clean look while providing full aiming capabilities. 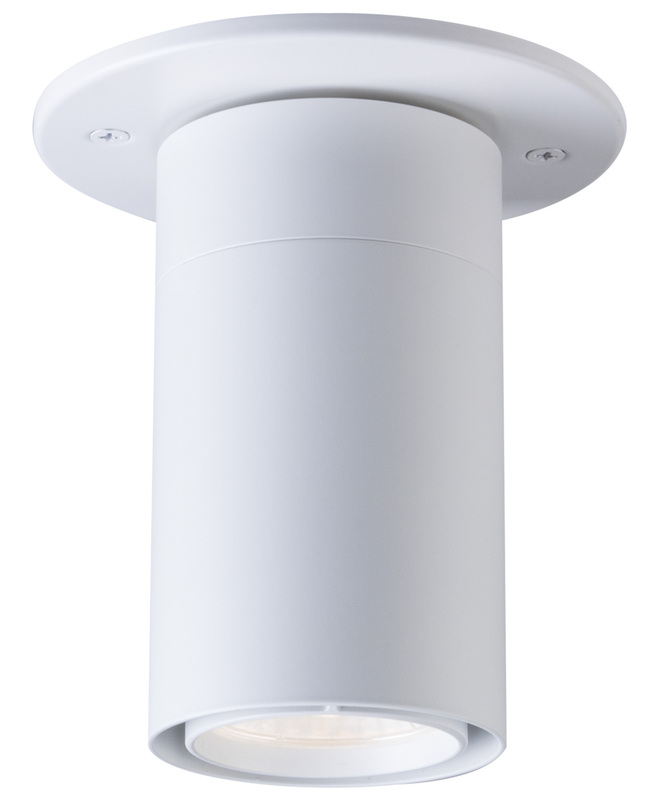 Fixture is mounted on ceiling with 4" octagonal junction box. 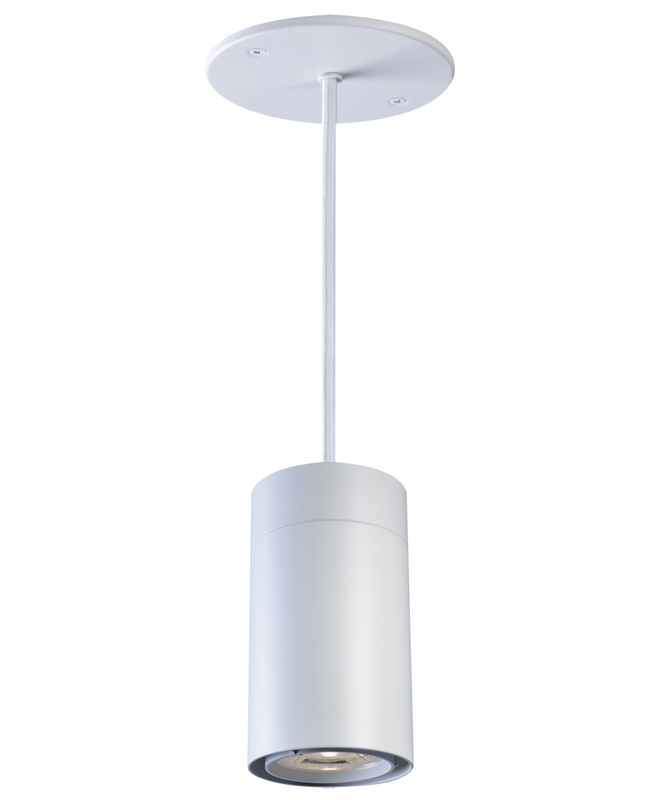 Fixture comes with a 5' adjustable SVT clear suspension cord and canopy. 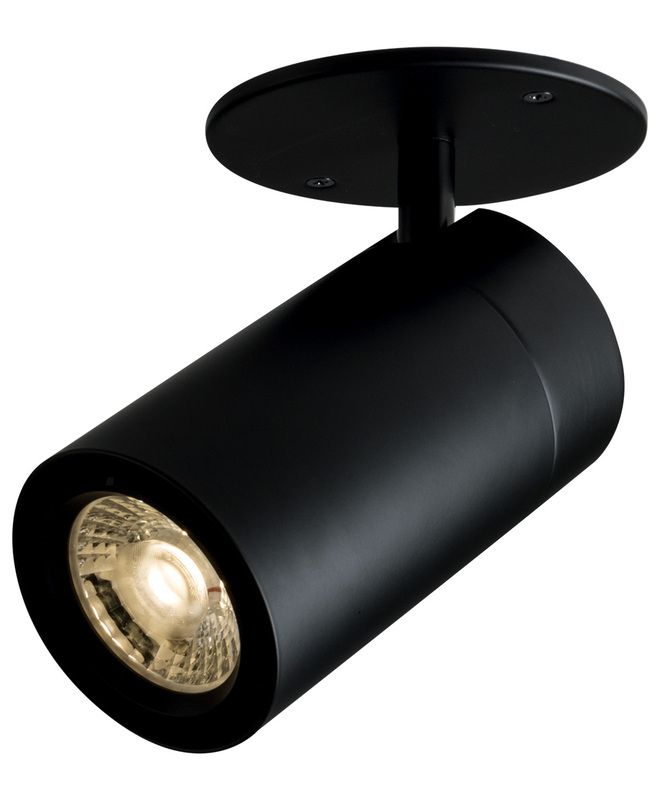 Included ceiling plate provides easy installation and architectural feel. 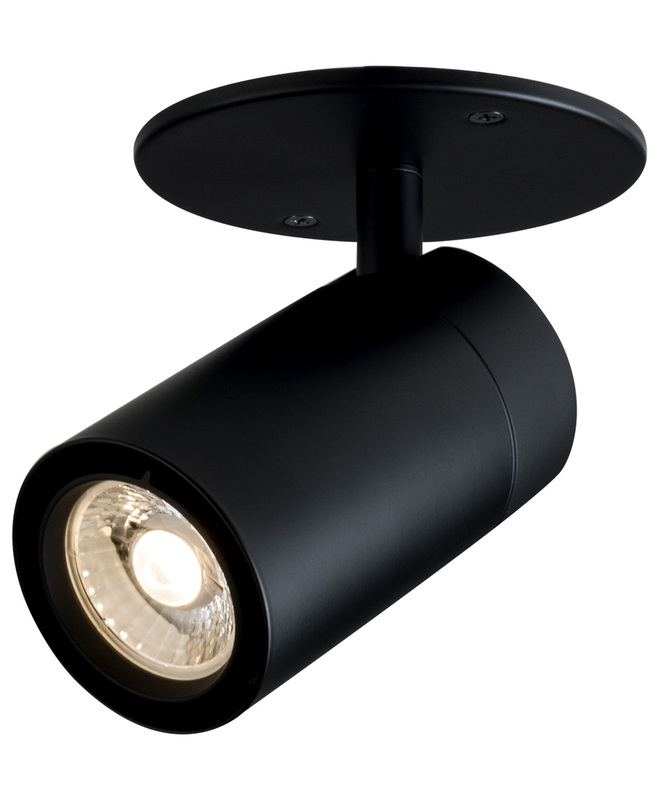 Fixture is mounted onto a 2½" (64mm) ceiling hole with two pressure clips. 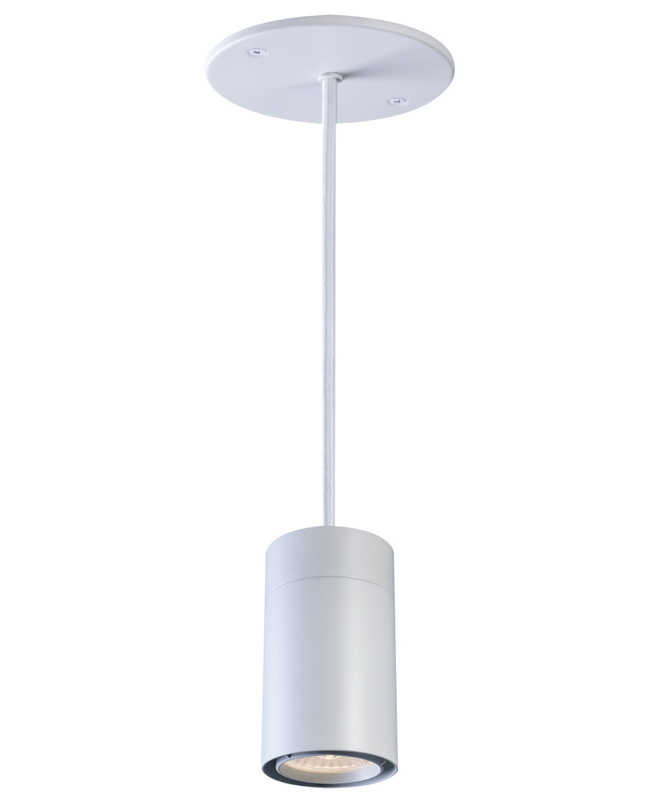 Fixture comes with a 5' adjustable SVT clear suspension cord, canopy and junction box. 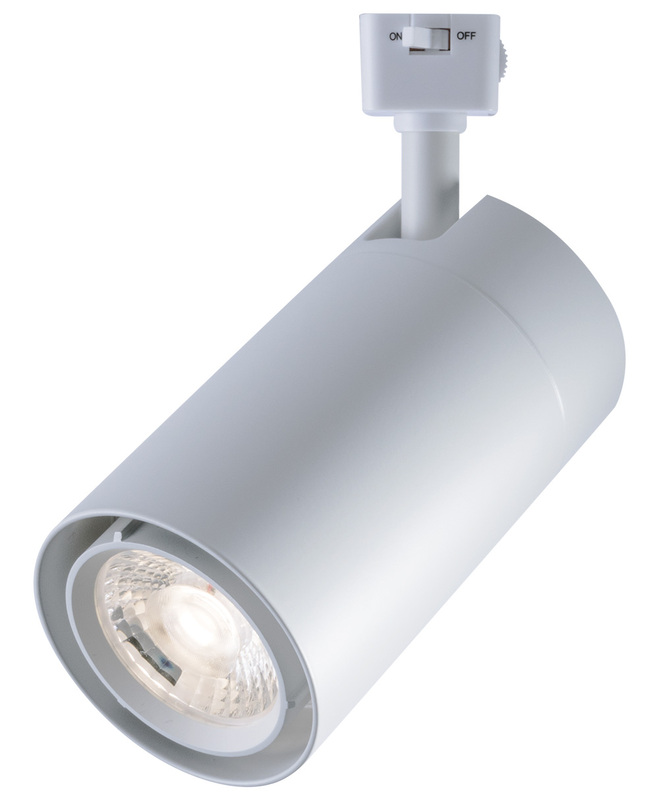 This fixture is available in a variety of track connectors. 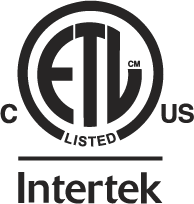 Provided with 1- or 2-circuit track connectors, and compatible with A-Line, 2- and 3-circuit Powergear, H-style, L-style and Liteline tracks. 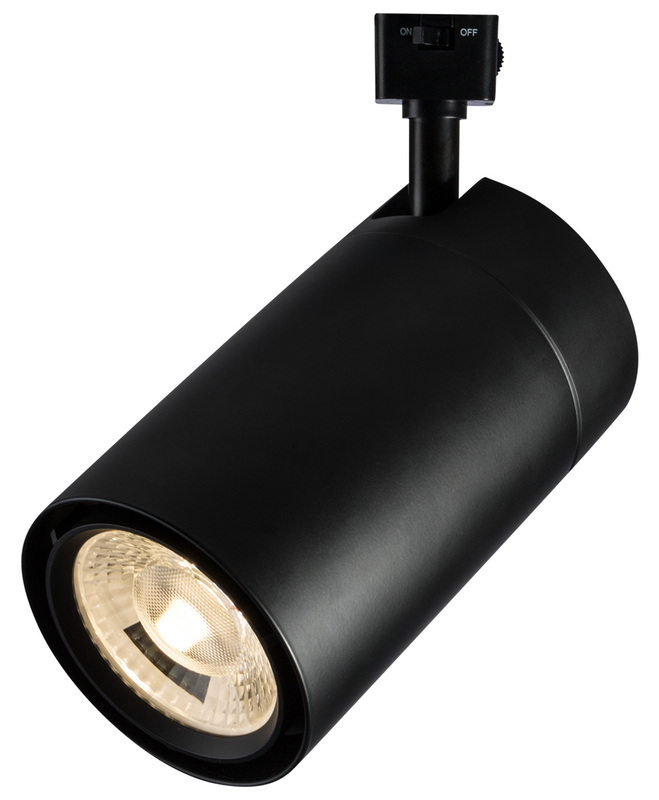 This fixture comes with a 5' SVT suspension cord and is available in a variety of track connectors. 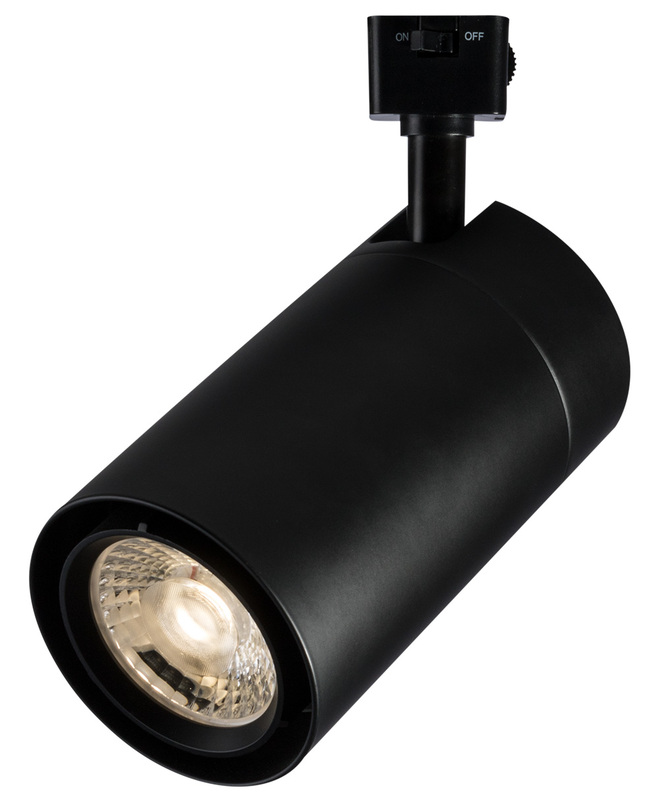 Provided with 1- or 2-circuit track connectors, and compatible with A-Line, 2- and 3-circuit Powergear, H-style, L-style and Liteline tracks.